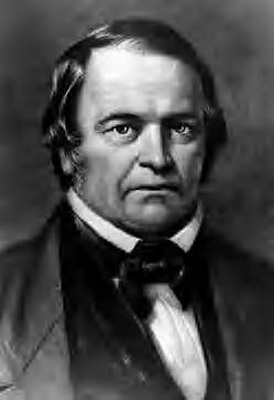 The Seventh-day Adventists originates to when William Miller (see picture above) predicted that Jesus Christ would return to Earth on October 22, 1844 based on Daniel 8:14-16. This was part of the Second Great Awakening. When Jesus did not return, most of his followers disbanded and returned to their original churches. This was called the “Great Disappointment.” This event was interpreted by couple James and Ellen White to be the end of a 2300 year time period of Christ’s “first apartment.” This is explained in their doctrine called the Investigative Judgment. James White started a magazine named The Present Truth in 1849. Between the two of them, many core beliefs were established by their writings. The couple then formed the official Seventh-day Adventist denomination in 1863. The main difference in this denomination is their belief in Annihilation, which means that men will be cease to exist instead of going to eternal hell. This accounts for Philippians 2:10-11 and 1 Timothy 2:3-4 which says that everyone will be saved, because those that are not saved will simply cease to exist. However, this is a loophole, not a consistent answer. Also, this does not account for the lake of fire. They also believe in having church service on Saturday instead of Sunday, because Saturday is the Sabbath, hence the name of the denomination. As I mentioned before, God doesn’t care about such minor details. Finally, they believe in being vegetarian due to Leviticus 11. Leviticus 11 is clearly giving recommendations of what food to eat for health reasons, because they did not have the knowledge we have of medicine today. It also says in Genesis 1:30 that God created every living thing on Earth for our food. Today, the Seventh-day Adventists are governed by the General Conference located in Silver Spring, Maryland.